About the Author: Professor Joel Hayward is Professor of Strategic Thought at the National Defense College of the United Arab Emirates. His former posts have included being the Director of the Institute of International and Civil Security and the Chair of the multidisciplinary Department of Humanities and Social Sciences at Khalifa University (UAE) and the Dean of the Royal Air Force College (UK). He is the author of many books and peer-reviewed articles. 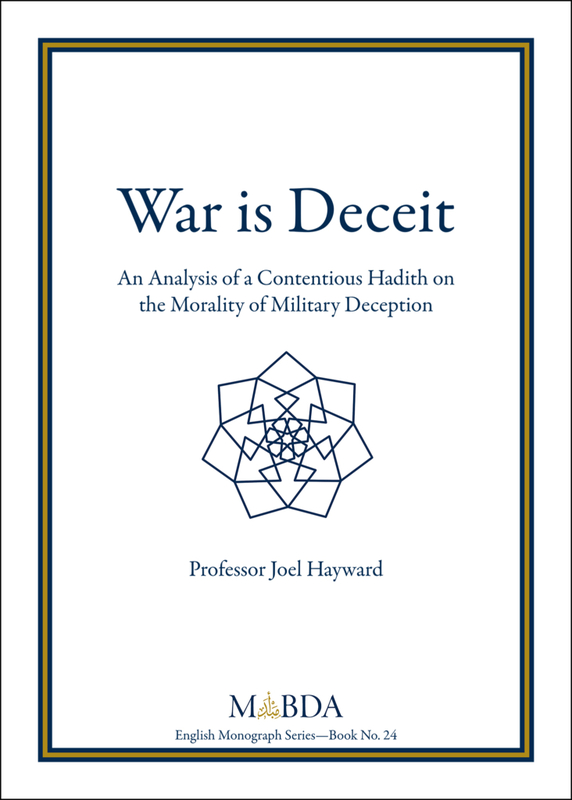 This monograph analyses Prophet Muhammed’s statement: “War is Deceit”. The author rejects the view that, in the wars fought by Muhammad, he acted immorally through any acts of wanton personal dishonesty (“deceit”) that constitute severe character imperfections and stain his reputation as a holy man. It argues instead that, in his quest to defeat the forces within Arabia which sought to destroy his fledgling community, Muhammad used ruse and bluff, or strategic and tactical deception, as a reasonable, necessary and eminently legitimate means of gaining military advantage so as to minimise suffering on both sides. It argues that, if Muhammad is to be condemned for using ruses during warfare, then for consistency and fairness his critics must also consider earlier prophets including Moses, Joshua and David, and all of history’s greatest military leaders, including Washington, Wellington, Nelson, Lee, Churchill and Eisenhower, to have been morally corrupt merely because they also esteemed the advantages obtained through the use of ruse. Tajwīd (tr. ‘making something good or better’) is the discipline of proper Qur’anic recitation. It involves pronouncing each letter from its proper point of articulation and giving it its due attributes consistently. It is acquired by listening to those who have mastered it, emulating them, and being tested. Learning the theoretical rules of tajwīd is a communal obligation (Ar. farḍ kifāyah) while practicing it is an individual obligation (Ar. farḍ ʿayn). 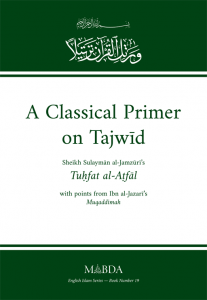 This book is a complete, annotated translation of Sheikh Sulaymān al-Jamzūrī’s Tuḥfat al-Aṭfāl, a classical didactic poem on tajwīd, including the section on ‘points of articulation’ (Ar. maḵārij al-ḥurūf) from Imam Ibn al-Jazarī’s intermediate-level poem on tajwīd. Because we have to charge a flat rate of $14.95 for shipping under a half kilogram, we encourage you to buy 3 books and receive a free book to save on shipping and handling. Sheikh Abu Abd al-Rahman al-Sulami (325–412 AH) was the undisputed sheikh of Sufism in Khorasan during his lifetime. He authored 700 volumes on Sufism and 300 in Hadith, in addition to works in Tafsir and other disciplines. A man who bore the markings of Divine acceptance, he was loved by common men and princes, yet politely declined the extravagant gifts of the latter. 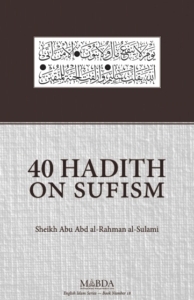 Among his works is a compilation of 40 hadiths on the subject of Sufism—spirituality in Islam—with his own chains of transmission returning to the Prophet (peace be upon him), his companions, or the generation after them. 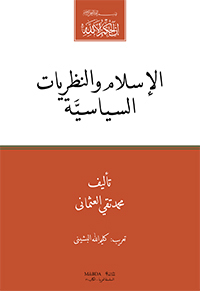 In addition to the translation of Sheikh al-Sulami’s collection of 40 hadiths on Sufism, brief footnotes gleaned and paraphrased from Imam al-Sakhawi’s derivative text are included. Translation is interpretation, and, given the cultural, temporal, and linguistic gaps between the original and what is presented, interpretation is very much necessary. The original Arabic is placed alongside the English not only because there are spiritual and linguistic benefits in reading it, but also to allow those with access to scholars to gain a deeper understanding and appreciation of the Sunnah. Because we have to charge a flat rate of $14.95 for shipping under a half kilogram, we encourage you to buy 2 books and receive a free book to save on shipping and handling. Red Sulphur, by ‘Abd Allah Ibn AbiBakr al-‘Aydarus,is a short treatise on spiritual wayfaring (suluk). It is not an academic work that targets the learned as its audience, nor is it an advanced treatise for the benefit of great saints like its author. It is written for the benefit of those who have just begun treading the spiritual path. Despite its brevity, though, it is extremely beneficial, replete as it is with insightful comments for all spiritual seekers. The Project of a Viable and Sustainable Modern Islamic State was the subject of The Royal Aal al-Bayt Institute for Islamic Thought’s 16th General Conference. Held in Amman on August 19–21, 2013, the conference included 73 scholars and dignitaries from the Middle East; North, West, and Sub-Saharan Africa; Europe; Southeast, Central, and South Asia and the United States. Scholars addressed a number of issues including, most importantly, the existential problem: What is a modern Islamic state? Traditional Islamic concepts of bay’ah (oath of fealty) and shura (consensus) were compared head-to-head with the modern concepts of constitution and democracy. Modernity notwithstanding, the fundamental values, rights, and responsibilities of the Islamic state and its citizens return to Islamic Law. Scholars examined how these ideas apply to both Muslim and Non-Muslim citizens of the state, ensuring the rights of all. Beyond mere existence, any state must be viable and sustainable. Scholars stressed the importance of a civic state and its associated institutions. The relationship between education, development, and civil continuity was emphasized. Finally, it was agreed that there are a number of different schools of Orthodox Islamic Law, which, between them contain the intellectual tools to accommodate future challenges. No word in English evokes more fear and misunderstanding than ‘jihad’. To date the books that have appeared on the subject in English by Western scholars have been either openly partisan and polemical, or subtly traumatised by so many acts and images of terrorism in the name of jihad, and by the historical memory of nearly one thousand four hundred years of confrontation between Islam and Christianity. War and Peace in Islam: The Uses and Abuses of Jihad aims to change this. Written by a number of Islamic religious authorities and Muslim scholars, this work presents the views and teachings of mainstream Sunni and Shi’i Islam on the subject of jihad. It authoritatively presents jihad as it is understood by the majority of the world’s 1.7 billion Muslims today, and supports this understanding with extensive detail and scholarship. Though jihad is the central concern of War and Peace in Islam: The Uses and Abuses of Jihad, the range of the essays is not confined exclusively to the study of jihad. The work is divided into three parts: War and Its Practice, Peace and Its Practice, and Beyond Peace: The Practice of Forbearance, Mercy, Compassion and Love. War and Peace in Islam: The Uses and Abuses of Jihad aims to reveal the real meaning of jihad and to rectify many of the misunderstandings that surround both it and Islam’s relation with the ‘Other’. HRH Prince Ghazi bin Muhammad is the nephew of the late King Hussein of Jordan and is Chairman of the Board of Trustees of The Royal Aal al-Bayt Institute for Islamic Thought. He is the founder of Al-Balqa Applied University and the World Islamic Sciences and Education University (WISE). He is also the author of Love in the Holy Qur’an. Professor Ibrahim Kalin is Chief Advisor to the Prime Minister of Turkey and the founding director of the SETA Foundation for Political, Economic and Social Research based in Ankara, Turkey. He is a fellow at the Prince Alwaleed Center for Muslim-Christian Understanding, Georgetown University. Professor Mohammad Hashim Kamali is the Founding Chairman and CEO of the International Institute of Advanced Islamic Studies (IAIS) Malaysia. He was Professor of Islamic Law and Jurisprudence at the International Islamic University Malaysia (1985-2004), and also Dean of the International Institute of Islamic Thought and Civilization (ISTAC) from 2004 to 2006. He is the author of many titles on Islamic law and jurisprudence including the bestselling Principles of Islamic Jurisprudence. 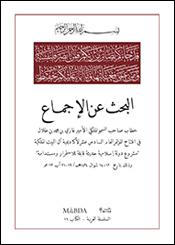 This booklet is comprised of Shaykh Ahmad ibn Mustafa al-Alawi’s Treatise on the Invocation of the Divine Name (Al-Qawl al-Mu‘tamad fi Mashru‘iyyat al-Dhikr bi al-Ism al-Mufrad), selections from two works of Shaykh Ibn Ata Allah al-Iskandari The Key to Salvation and the Lamp of Souls (Miftah al-Falah wa Misbah al-Arwah), The Pure Goal Concerning Knowledge of the Unique Name (Al-Qasd al-Mujarrad fi Ma‘rifat al-Ism al-Mufrad), and a short extract from Imam Abu Hamid al-Ghazali’s The Scale of Deeds (Mizan al-‘Amal). Why Should Muslims Visit Al-Masjid Al-Aqsa? ‏Why Should Muslims Visit Al-Masjid Al-Aqsa? This booklet is a selection of statements issued by Muslim scholars and Muslim organisations condemning terrorism. Many of the statements were made after the 9/11 and 7/7 attacks which were perpetrated in the name of Islam. Although countless Muslim voices – scholars, associations and laypeople – immediately condemned the attacks and rejected that these had any association with Islam, many, if not most, of these statements were not reported in mainstream Western media and so the false accusation that Muslims do not condemn terrorist acts was born. The voices in this booklet have been selected because of the need to show that religion does not condone terrorism; in fact, it is quite the opposite and this is what the statements of Islamic leaders and religious bodies the world over show. Some of the statements are fatwas – religious edicts issued by a Mufti, a legal scholar; the others are the immediate reactions to these horrific crimes. The selection has been limited to what has appeared in English (much more is available in Arabic and other languages spoken by Muslims), and is just a fraction of what is available. Thanks be to God, and peace be upon His Messenger, Muhammad, who was sent by God as a mercy to all mankind. God Revealed the Holy Qur’an to the Prophet Muhammad to clarify all things; it prescribes for humanity correct doctrine and high morality and shows us how to organize our relations amongst each other in a manner that wards off tyranny and preserves rights. This book is a study of combat (qitaal) gleaned from the Holy Qur’an; it is from a series of lectures the author delivered on Egyptian radio. The research discusses the following subjects: the nature of the call to Islam (da’wah); the Holy Qur’an and the legitimacy of combat; the Holy Qur’an and the organization of combat and its rules. The research concludes that the practical combat which the Prophet (peace be upon him) and his two Caliphs conducted was an exact and correct application of what the Holy Qur’an prescribes in regards to legitimate combat, its organization and its rules. From November 21-23, 2011, the Royal Aal Al-Bayt Institute for Islamic Thought hosted the second seminar of the Catholic-Muslim Forum at the Baptism Site, Jordan. The Forum is one of the fruits of the ‘A Common Word’ initiative, which was launched in 2007 and which seeks to promote Muslim-Christian dialogue based on the two shared religious commandments of ‘Love of God’ and ‘Love of the neighbour’ [see www.ACommonWord.com]. The second Forum (building on the success of the first Forum, which was held at the Vatican in 2008) brought together 24 leading scholars from each religion to discuss the following three themes: 1. Reason, 2. Faith, 3. The Human Person. 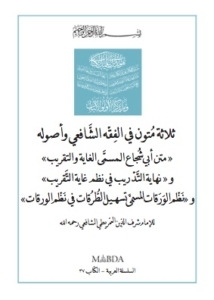 This book is an English translation of the paper presented by Habib Ali al-Jifri. Is Religion a Source of Violence? This question haunts the minds of many people concerned about religion in one way or another. For the critics of religion, the answer is usually in the affirmative, and it is easy to cite examples from history. From Rene Girard’s depiction of ritual sacrifices as violent proclivities in religions to the exclusivist claims of different faith traditions, one can easily conclude that religions produce violence at both social and theological levels. As often done, one may take the Crusades or the inquisition in medieval Europe or jihad movements in Islamic history and describe the respective histories of these traditions as nothing more than a history of war, conflict, violence, schism, persecution. The premeditated conclusion is unequivocal: the more religious people are, the more violent they tend to be. The solution therefore lies in the de-sacralization of the world. Religions, and some among them in particular, need to be secularized and modernized to rid themselves of their violent essence and violent legacy. At the other end of the spectrum is the believer who sees religious violence as an oxymoron at best and the mutilation of his/her religious faith at worst. Religions do not call for violence. Religious teachings are peaceful at their base, meant to re-establish the primordial harmony between heaven and earth, between the Creator and the created. But specific religious teachings and feelings are manipulated to instigate violence for political gains. Violence is committed in the name of religion but not condoned by it. The only valid criticism the secularist can raise against religion is that religions have not developed effective ways of protecting themselves from such manipulations and abuses. As Juergensmeyer has shown in his extensive survey of religious violence in the modern period, violence does not recognize religious and cultural boundaries and can easily find a home in the most sublime and innocuous teachings of world relgions.